Have you been searching for a company that is able to undertake plumbing repairs in Grimsby? 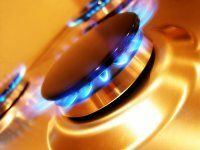 Westlands Heating Ltd was established in January 2011 with the aim of providing a fast, highly professional service within the gas industry, to include installation, service and repair to both domestic and commercial sectors. Westlands Heating Ltd are a Gas Safe registered company for your peace of mind. All our workmanship is of the highest quality and will comply with all current legislation. The company uses all avenues available to provide continuous in-house and manufacturer training to maintain and improve the expertise and quality of our valued engineering staff. At Westlands Heating Ltd, we have the structure in place to provide a comprehensive quality service for all of your requirements, ensuring that your project will be completed both on time and within budget. Get in touch with Westlands Heating Ltd for a plumber in Cleethorpes. We are sure that you won't be disappointed with our services, so get in touch with us today on the number at the side of the page. Alternatively you can also send an email to info@westlandsheatingltd.co.uk or fill in the contact form with your details and query. Don't forget to come to Westlands Heating Ltd for a plumber in Grimsby and the surrounding areas. Contact us on 01472 467046.